Fresh rasagullas made by a woman from rural Rajasthan, on the shelves of Walmart's retail outlets outside India? 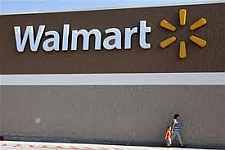 Well, this may soon become reality, since Bharti Walmart, the joint venture (JV) between Bharti Enterprises and Walmart Stores Inc, is creating opportunities for women entrepreneurs in India to go global. The two JV partners have undertaken an empowerment initiative for Indian women entrepreneurs, having set a target of impacting the lives of 25,000 women by 2016. They have also said they will substantially increase sourcing from women-owned businesses in India. "We started this initiative early this year and so far it has been a rewarding experience," said Arti Singh, senior vice president  corporate affairs, Bharti Walmart, adding that the company not only sources products from these entrepreneurs, but also provides mentorship in factories, financial donations and training at its training centres. "So far 11,000 people have been trained, of which 30 per cent are women, and already more than 2,000 women have been made job-ready in three years through these centres," she said. The initiative offers sustainable employment opportunities to women, particularly from the economically weaker sections, to help them acquire economic stability, improve their living standards and foster inclusive growth, she added. Today, challenges faced by these entrepreneurs during the development stages include setting up, scaling up and supply chain management. Bharti Walmart is creating platforms for collaboration, based on Walmart's supplier network, to address these challenges. Another example is the Sunhara Walmart project in Uttar Pradesh, which aims to train 2,500 underprivileged rural women in best agricultural practices and provide them with linkages to markets. "We are also creating potential export opportunities for these women," added Singh, who noted Walmart operates in over 27 countries outside the US. Besides, associating with Bharti Walmart also help these entrepreneurs to get more customers. Dinika Bhatia, from Delhi, is one such entrepreneur. After securing a business administration degree from the University of Southern California, Bhatia returned to India and started DRB Foods in 2009, launching the Nutty Gritties brand of pistachios. In 2010, she joined hands with Bharti Walmart. "They helped us set up the factory, process, system, human resource and quality." Today, besides Bharti Walmart, Bhatia's company supplies to other retail brands including Reliance, Tesco, More, Godrej, some airlines and the Railways. Annual revenues are Rs 10-12 crore (Rs 100-120 million). Another entrepreneur is Rachna Sethia from Rajasthan, whose family was making sweets and namkeens (savouries), on a modest scale. In 1994, Rachna launched branded sweets and savouries, and her association with Bharti Walmart began last year. "They gave us an opportunity to sell our brands in Rajasthan first, and now our brand is available not only in Bharti Walmart stores but in other major retail outlets as well, across Madhya Pradesh, Punjab and Maharashtra." Sethia's company reported a turnover of around Rs 20 crore (Rs 200 million) last year and expects to double it this year. "Not all our business comes from Bharti Walmart. In fact, it is only 10 per cent, but it is only after associating with them that we managed to rope in more retail customers," she says.